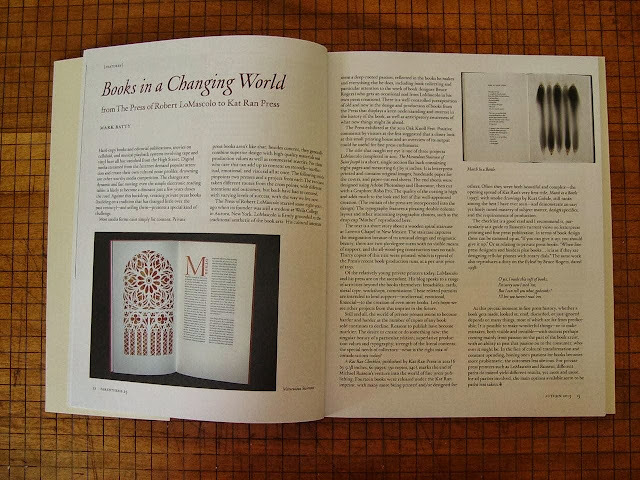 The Press of Robert LoMascolo: Parenthesis 25 . . .
Parenthesis 25 . . .
Be on the lookout for the fabulous article Mark Batty did for Parenthesis 25 about The Press of Robert LoMascolo & Kat Ran Press! Parenthesis is a biannual publication put out by The Fine Press Book Association and can be purchased from their website.